The Brazilian government prepares to lift mining restrictions on more than 400 national and state parks. Brazilian social movements criticized plans to expand mining activities on Friday as the government announced new auctioning procedures in order to attract higher levels of investment in the mining sector. Under the proposed guidelines, the Brazilian Ministry for Energy and Mining (MME), intends to award exploration of 20,000 mining sites to foreign and domestic companies. The newly designated mining areas, which have been identified by the MME, could eliminate mining restrictions in more than 400 national and state parks, including the National Reserve of Copper & Associated Minerals (RENCA). “The potential reopening of RENCA to mining exploration, confirms the aggressive pace and priority given to extraction projects under the current government. These new measures will fundamentally undermine Brazilian sovereignty in favor of transnational mineral extraction firms,” Maria Júlia spokesperson with the Movement for Popular Sovereignty over Mining (MAM) stated. The federally preserved area, extending 46,000 square kilometers, which is equivalent to the total surface area of Belgium, has received government protection from private mining exploration since 1984. Under the new proposals, the Brazilian government seeks to expedite the amount of time that it takes to approve acquisitions of newly designated mining exploration areas. Initially, around 1,000 areas will be made available to stakeholders based on the highest bid price, the ministry said on Friday. Brazilian President Michel Temer, who is facing calls to step down due to serious corruption allegations, announced last March a major overhaul to the country’s mining code. “The governments of Luiz Inácio Lula da Silva and Dilma Rousseff granted the executive branch with more control and protection over country’s national resources,” Júlia added. Meanwhile, the new measures being proposed by the Temer administration would put an end to a nearly 40-year ban on foreign-owned mining companies operating on areas located along the country's 10,000-mile border. The proposed changes to Brazil's mining code will be presented to Brazil’s Congress by the end of this year. 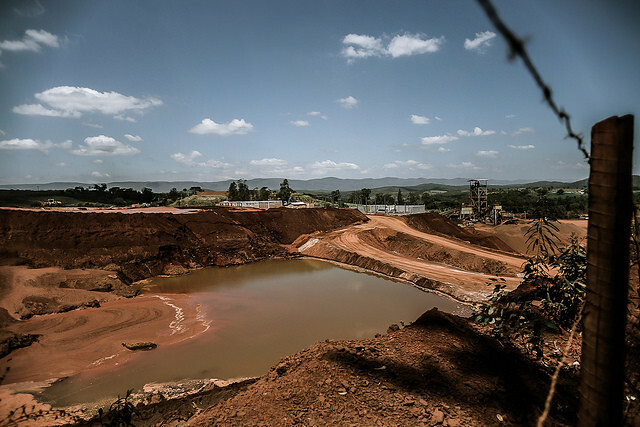 The legislative modifications are taking place as the country continues to recover from the devastating environmental impacts caused by the unprecedented Samarco Dam disaster, which destroyed entire towns and villages, releasing 50 million cubic meters of iron-mining waste and toxic sludge along the Rio Doce River.